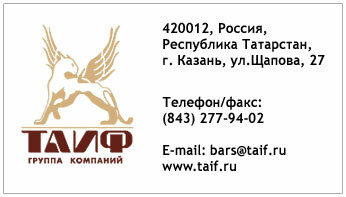 The range of services provided by the companies of TAIF Group is rather wide. It includes insurance, customs broker services in customs business, transportation, services in the sphere of business security, trade, advertising, cultural and entertainment services. Qualitative changes in the demand trends, which took place during the last few years, have become the motivation to develop this market, and have determined the necessity of implementing investment projects in this sphere. TAIF Group operations in the field of services and commerce are aimed at meeting the growing demand of the Republic population in high-quality services.